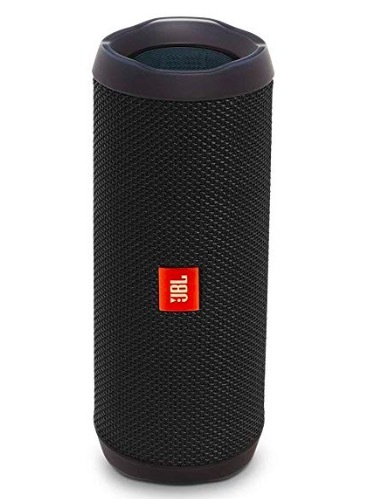 There are plenty of Bluetooth speakers in the market and price starts for as low as Rs. 1000. But, most of these Bluetooth speakers come with the average build quality. Bluetooth speakers are good for outdoor parties, so these must be rugged to fit your outdoor destinations. This is the reason, you must look for water and dust resistant Bluetooth speakers if you are a traveler and looking for a speaker to be with you at your travel destinations. In this article, I am listing 5 Best Bluetooth speakers with Ruggedness. These are water and dust resistant. These can even survive accidental falls. These are the best Waterproof Bluetooth speakers under Rs. 10000 that are dustproof and shockproof. So you can take it with you on any kind of trip and enjoy music without any interruption. See the list below along with links to best buy deal. LG XBoom GO PK5 s the best among all. It is a premium Bluetooth speaker designed to ensure extreme durability. The body of this Bluetooth speaker is made of hard plastic. It can survive an accidental fall. It is IPX5 rated for bong weather and splash resistant. So, it is ideal for outdoor parties. For making this Bluetooth speaker, the company has partnered with MERIDIAN Audio. It ensures a high-quality music experience. It produces excellent quality sound output and deep bass. It has a 20W sound output. It supports Bluetooth 4.2 with AptX HD Audio for high-quality music streaming over Bluetooth. It also supports Voice Command so you can control your speaker with just a press of the button and activating phone’s assistant. It packs 5200mAh Li-ion that offers 18 hours of music playback on a single charge. JBL Flip 4 is another rugged power bank built for beach or pool parties. It has a cylindrical design that looks good. It has nylon fabric that feels tough. It also controls buttons giving tactile feedback when pressed. This speaker comes with 2 dynamic drivers with 8W power in each. It offers good sound and bass is also good. The speaker produces clear mids and highs. There is no noticeable distortion even at maximum volume levels. This speaker also comes with a one-touch smart assistant feature that activates phone’s voice assistant. This Bluetooth speaker comes with a standard splash and spill resistance due to IPX7 certification. It can be submerged under 1 ft of water for 30 minutes. It packs 3000 mAh battery offering up to 12 hours of music playback. The battery takes 3.5 hours in charging. Ultimate Ears Boom 2 is a tower-shaped Bluetooth speaker offering loud and clear sound. It has a cylindrical shape with comparatively sharp edges. It has solid build quality. It also has an IPX7 rating to make it dust and waterproof. It can be immersed in water up to 1 m deep for about 30 minutes. The speaker offers good sound quality and it is loud for outdoor usage. It remains crisp and clear. The speaker also comes with a companion Android app that lets you select custom preset equalizers for fine-tuning the sound output. This Bluetooth speaker offers up to 12 hours of battery backup and its battery takes around 2.5 hours in charging. JBL Charge 3 is another good rugged Bluetooth speaker under 10000 INR. THs speaker comes with the solid build quality and feels very tough. It also has buttons offering tactile feedback. It has dual speakers with signature JBL sound. It also comes with clear and loud sound quality without any kind of distortion. The bass response is also good. It also has Dual external passive radiator for good bass. It features IPX7 certification. You can also submerge JBL Charge 3 in water. It packs 6000mAh Li-ion battery that offers around 20 hours of playback on a single charge. This speaker can also act as a power bank and you can charge other devices with it. Ultimate Ears Wonderboom is also an excellent Bluetooth speaker that delivers 360-degree sound. It is also IPX7 rated for being water and dust proof. It can also float on water if you drop it on a pool. It has two 40 mm active drivers. It has clear mids, Solid bass and excellent music quality. It is cheap but good to be your traveling companion. You can use it for poolside parties. It features Bluetooth v4.1 for wireless connectivity but lacks 3.5mm jack or a microphone. It offers up to 10 hours of battery life. The battery takes around 3 hours in charging. Bose is one of the favorite brand loved by audiophiles. This speaker comes in rounded square shape and the chassis is made of soft touch silicone. It has a durable solid build and comes with detachable strap. The speaker has a single 40 mm speaker driver delivering mono sound output. It has a clear sound that doesn’t distort even at the maximum volume level. The speaker comes with Bluetooth v4.1 and NFC for pairing with your phone. 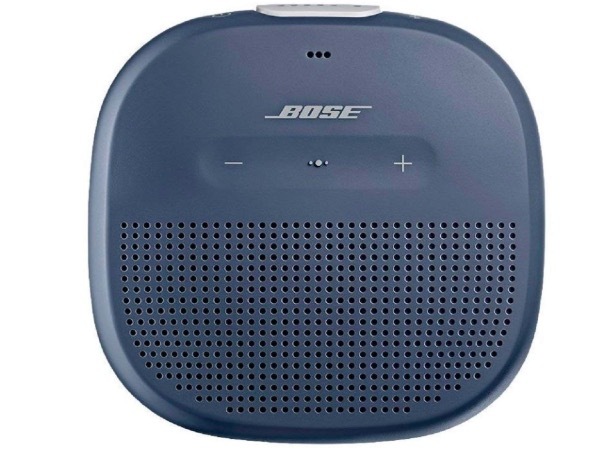 Bose Sound Link Micro offers 6 hours of battery backup on a single charge. The battery takes around 3 hours in charging from zero to full. 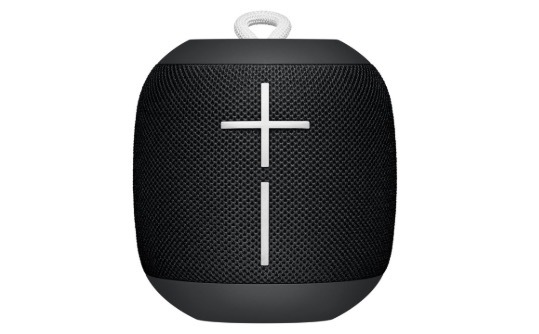 Sony SRS-XB31 is also a good waterproof Bluetooth speaker under Rs. 10000. It comes with a boxy and cylindrical design having solid build quality. 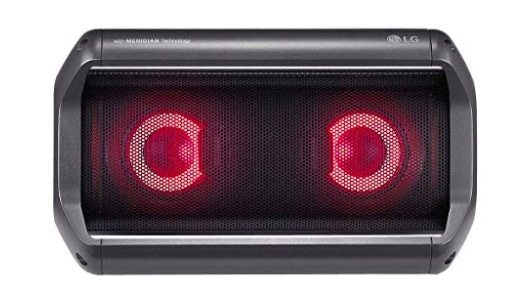 The speaker delivers good sound with rich bass and immersive vocals. It produces accurate mids and lows sound. It is IP67 rated for being spill resistant. It has a dedicated Xtra Bass button that you can use as per your preference. It also has control buttons at the top offering tactile feedback. The speaker also has a button to activate the voice assistant of the phone. The speaker offers up to 24 hours of battery life if you use it at 60% of the volume. SHARKK ²O is a notable Bluetooth speaker with the IP67 rating. It is Rugged Speaker with the waterproof and dustproof build. It comes with Bluetooth connectivity with a range of over 60 feet. SHARKK ²O has dual 4W loudspeakers to deliver high-quality stereo sound. It has a built-in microSD card slot. So, you also do not need to pair with your phone for listening to music. It also has a mic, so you can even receive calls. It also supports Aux cable. 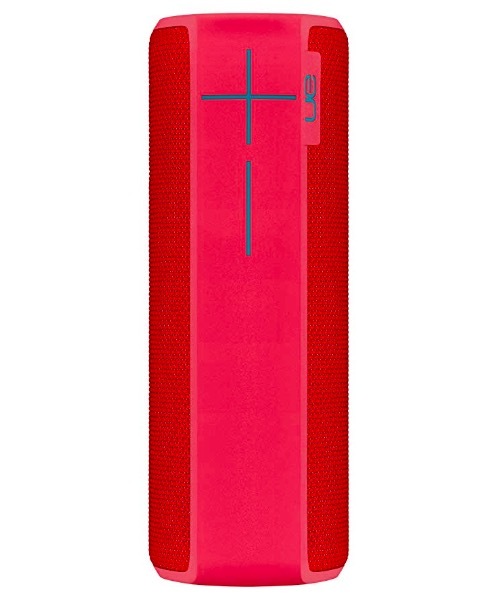 This speaker is packed with rechargeable 2200-mAh lithium-ion battery that delivers 10 hours of music playback. If the speaker is idle for 10 minutes, it will automatically power off to save battery juice. These are few good Waterproof Bluetooth speakers under Rs. 10000 with the rugged body. If you need something that is hard to break and can survive after dropping in the pool, you can select any of these. Bluetooth speakers are portable and hence these are suitable for road trips and camping. With the waterproof and dustproof design, you will feel free to carry it with you. If you think we forgot a good product that should be on the list, you can comment below to notify us. We will add that Waterproof Bluetooth speaker under Rs. 10000 in this list after doing research.